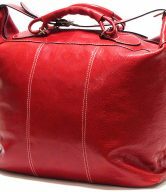 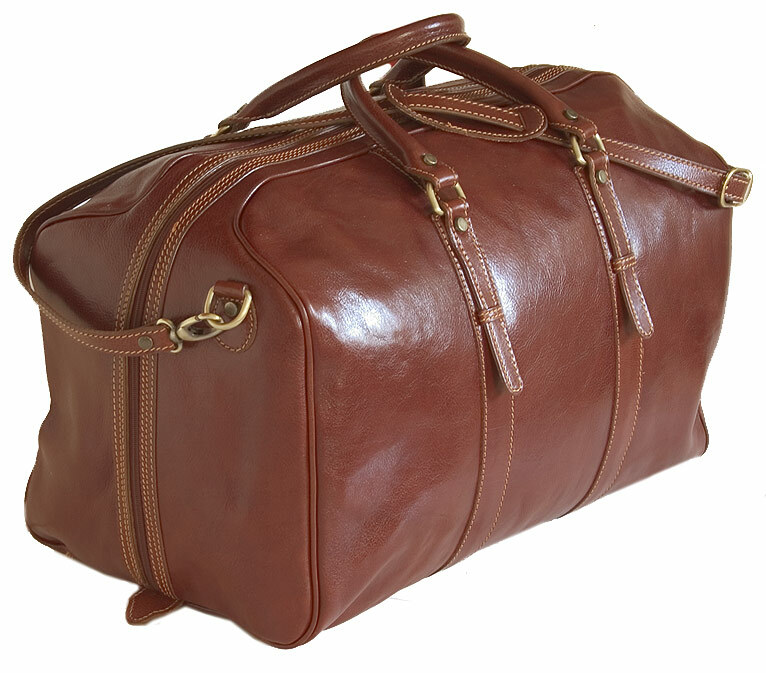 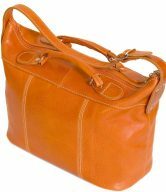 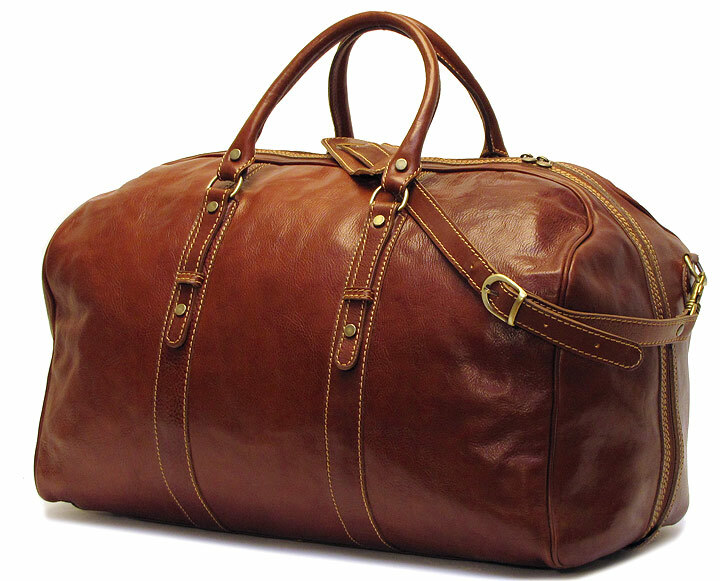 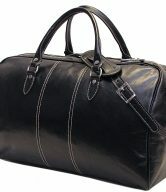 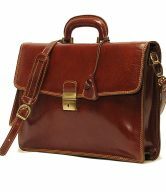 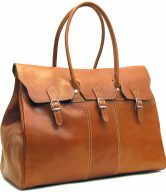 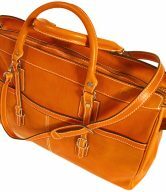 The Venezia Grande Italian Leather Bag is an enlarged version of the Venezia Italian Leather Duffel Bag. 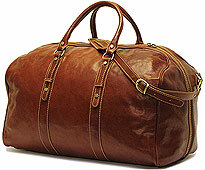 It is just as timeless and sporty and can pack twice as much as the regular-sized Venezia duffle bag. 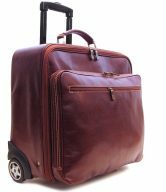 It was designed with the fashionable and professional traveler in mind. 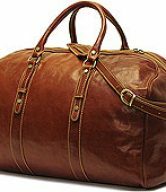 It combines Vecchio brown calf-skin leather, khaki stitching, and brass hardware to create a classic duffle that will never go out of style. 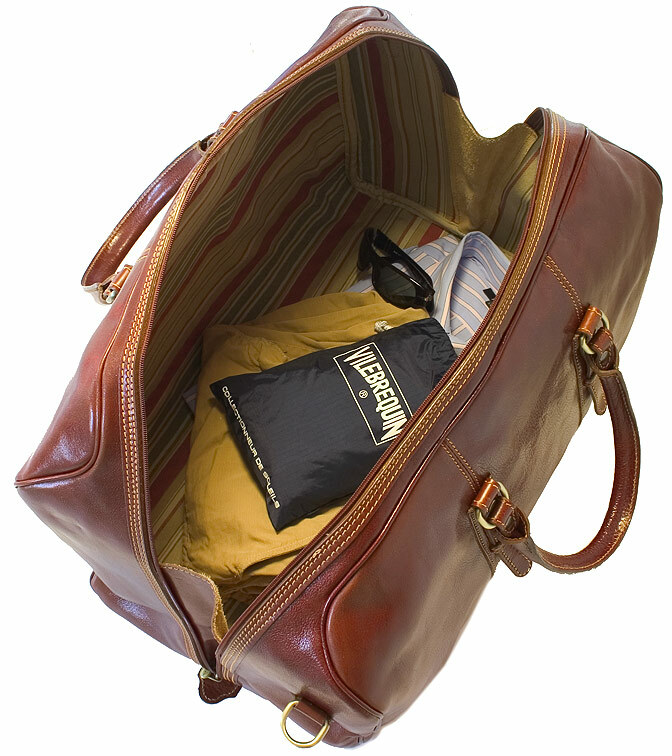 The floor-to-floor zipper makes packing easy and painless. 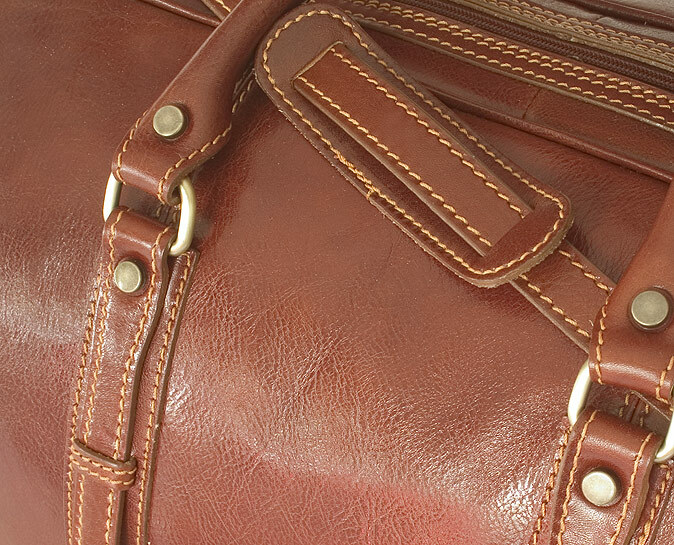 The interior is lined with rugged 100% cotton/denim so your clothes always unpack smelling fresh. 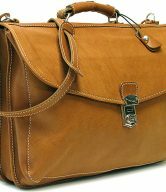 It also has an inside zip pocket for holding a passport and travel supplies. 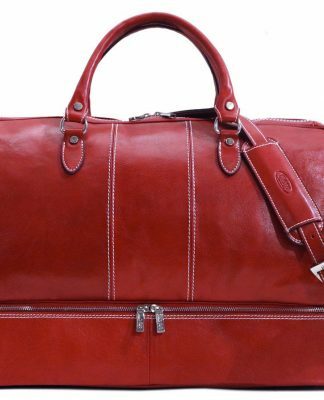 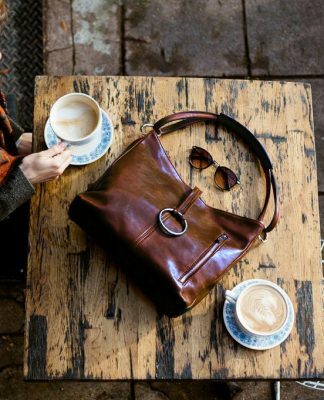 The Venezia Grande Bag is hand-made in Tuscany using polished Italian calf-skin leather and old-world craft methods. 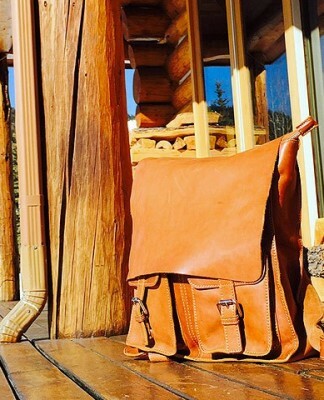 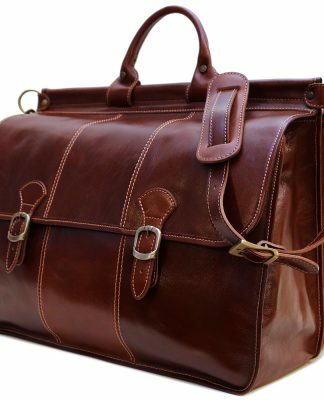 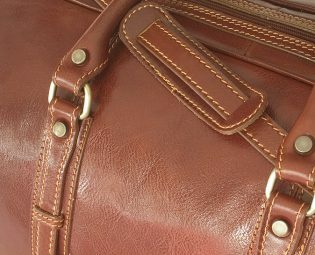 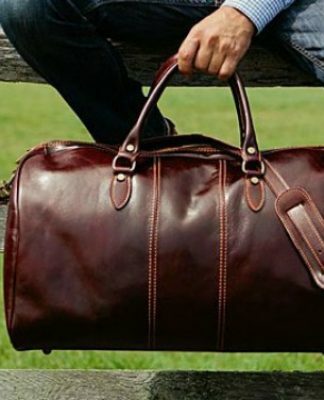 The result is a rugged yet supple leather duffle bag with unquestionable quality and durability not found in mass-produced luggage.